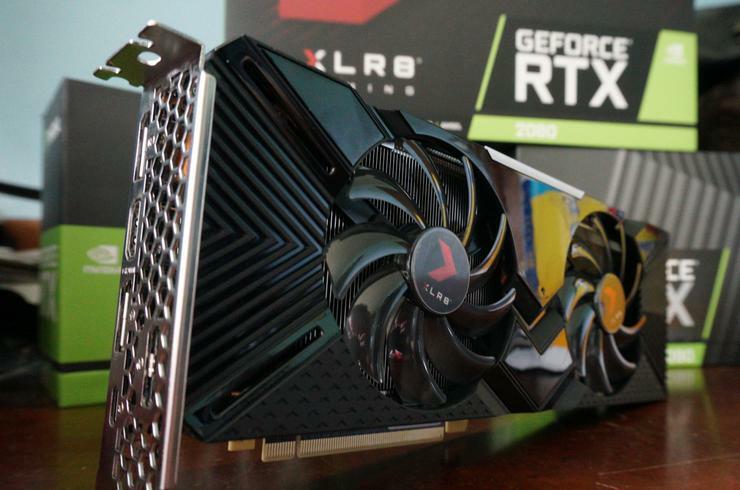 If the hulking Asus ROG Strix GeForce RTX 2080 showed how Nvidia’s graphics card partners can still shine in an era where Nvidia’s rejiggered Founders Edition models strike stronger than ever, the PNY GeForce RTX 2080 XLR8 Gaming Overclocked Edition ($850 on Amazon and NeweggRemove non-product link) demonstrates just how hard it is to stand out. The ROG Strix ($870 on NeweggRemove non-product link) countered the Founders Edition threat with a monstrous cooler and features galore that justified its price premium. PNY’s RTX 2080 XLR8, on the other hand, is just a graphics card. It’s fine. It’s okay. But there’s little here that makes it more compelling than the $800 Nvidia RTX 2080 Founders Edition, especially when it costs $50 more. It’s a shame, too, because we heartily recommended the PNY GTX 1080 Ti XLR8 last year on the back of its tremendous value proposition compared to rival GTX 1080 Ti options. We can’t do the same with the PNY RTX 2080 XLR8. Here’s why. The PNY RTX 2080 XLR8 mostly sticks to the reference specifications for the GeForce RTX 2080. That includes the dedicated RT and tensor cores that unlock futuristic new capabilities like real-time ray tracing and Deep Learning Super Sampling… whenever those features become available in games, at least. 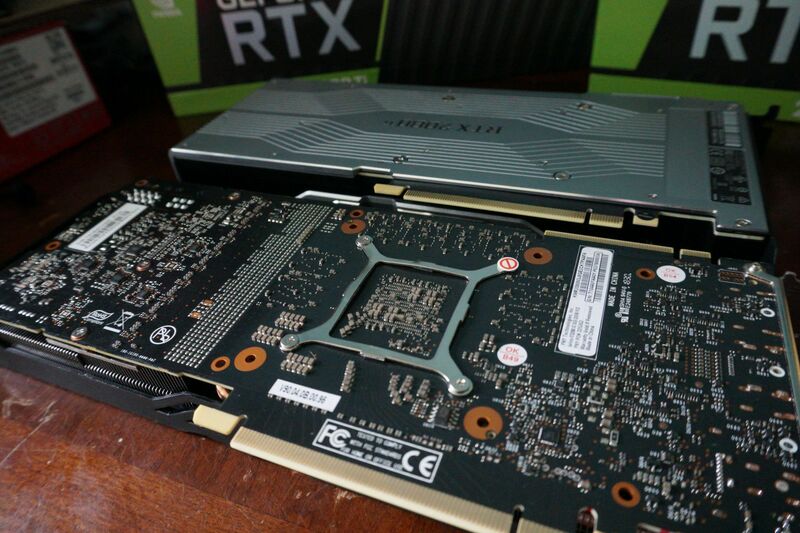 You can learn more about those technologies in our original GeForce RTX 2080 and 2080 Ti review, as well as our deep-dive into Nvidia’s Turing GPU architecture. Spec-wise, the PNY RTX 2080 changes three minor things compared to Nvidia’s RTX 2080 Founders Edition. 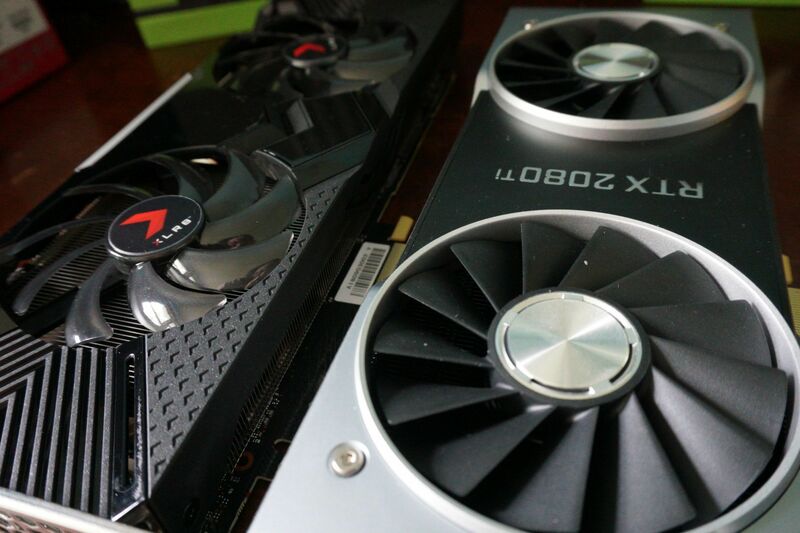 Both cards come overclocked—PNY at 1,815MHz, Nvidia at 1,800MHz—so they’re faster than the RTX 2080’s theoretical 1,710MHz reference speed. But despite being only 15MHz faster out of the box, a negligible difference, PNY lists the RTX 2080 XLR8’s TDP at 285W, a full 60W higher than the Founders Edition. (The actual power draw between the two is pretty much equal, as you’ll see in our benchmarks.) And finally, PNY’s card costs $50 more. That price premium doesn’t feel justified when you hold the two cards side by side. The GeForce RTX 2080 Founders Edition is absolutely stunning. It’s just gorgeous, with an aluminum shroud that curves around the end of the card into a backplate, enclosing the card except for a slim opening on the edge where the black, full-length heat sink peeks through. The dual fans are bristling with sturdy blades, and the “GeForce RTX” logo on the side glows a steady green. The Founders Edition feels like a $800 graphics card. The PNY RTX 2080 XLR8 doesn’t. And it definitely doesn’t feel like an $850 graphics card. There’s no backplate. There’s no lit-up logo, only a simple RGB strip just underneath the “GeForce RTX” branding. While I dig the clean design of the shroud, it skips metal for plastic. The PNY RTX 2080 XLR8’s dual fans pack far fewer blades than the Founders Edition, and they’re made of a flimsy plastic that bends and flexes when you touch it. To be blunt: The PNY RTX 2080 XLR8 feels cheap for the $800-plus price bracket. This cooler design would be acceptable on a mainstream graphics card, or if this card cost significantly less than the Founders Edition. But as-is it doesn’t make the grade. And while the Asus ROG Strix RTX 2080 deployed an army of extra features to fetch a premium price, such as fan and RGB headers that integrate the card more closely with the rest of your system, you won’t find anything luxurious on the PNY XLR8. It’s not all bad. The heat sink extends out past the graphics card’s PCB, with several copper heat pipes snaking throughout and a copper base inside. PNY says the honeycomb design of the I/O bracket can increase airflow by up to 15 percent, and the XLR8 uses DrMOS technology for lower noise and better heat reduction. Does this plain-looking card pack on a beefier cooling system that results in increased frame rates to rationalize its higher price? Yes—but no. Let’s head to the test bench.